Kenneth J. Sargoy attended New York University and graduated from the New School for Social Research in 1971. Ken worked as a social worker in New York City before moving to California where in 1981 he earned a Juris Doctor Degree from Whittier College School of Law. During law school, Ken was a member of the Dean’s List, recipient of the Neil Deitch Memorial Award for Scholastic Achievement, and Notes and Comments Editor of the Whittier Law Review. In 1981, Ken was voted Outstanding Law Review Member. Also during law school, Ken served as extern to the Honorable William P. Gray, United States District Judge for the Central District of California. 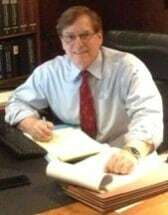 In 1984, Ken co-founded the law firm of Sargoy & Blum, and from 1992 to 2013 was a member of the AV-rated Kollender & Sargoy law firm with attorney Robert Kollender. Ken is licensed to practice law in the State of California and in the federal courts of the Ninth Circuit.